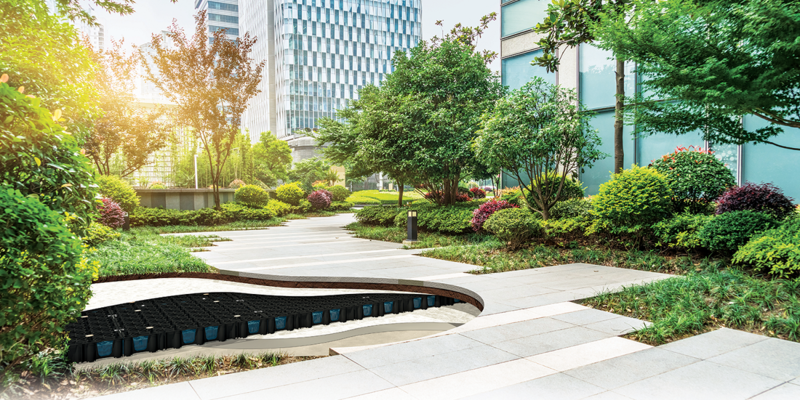 Since 2004, Polypipe has engineered Sustainable Urban Drainage Systems (SuDS) to support the construction industry at every stage of its growth. With continuous research and development, they have become a market leader in water management solutions. ‘Cities in the UK and around the world are becoming more resilient. We’re seeing green walls, blue-green roofs, natural swales and rain gardens that intercept water run-off, while permeable pavements allow water to pass through to the soil below – all helping to mitigate the impact of climate change and reinforce a positive outcome for a growing population.